“The top five counties [producing ginseng] last year were Mingo, Wyoming, Logan, Randolph, and Mcdowell,” said West Virginia Division of Forestry’s Ginseng Coordinator, Robin Black. For over 25 years, her role has been to monitor the industry. She says last year over 7,000 pounds were harvested. At last year’s average price of $750/pound, $5.5 million came into the state. But can ginseng play a more significant role in our economy? To answer that question, we have to understand some of the driving economic factors - the most important being that the most valuable ginseng roots are those that grow in Appalachian forests. Wild seng is the good stuff. It’s the root that Asian markets will pay TOP dollar for (just as it has for the past 300 years). “Wild plants tend to grow really slowly, their whole life history is very slow so it takes a long time for them to even get big enough to produce a single seed,” said ginseng researcher, ecologist at the Eberly School of Biology at WVU, Jim McGraw. 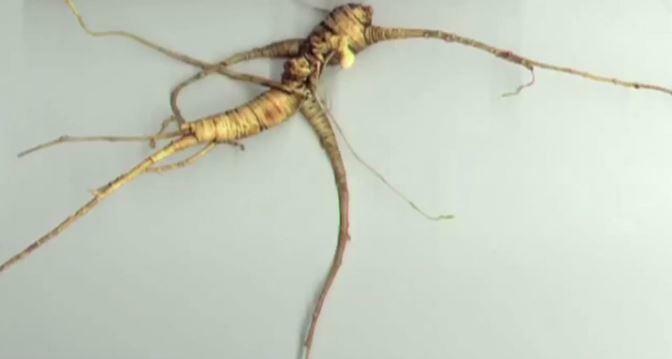 Cultivated root is sold for a fraction of the price of wild ginseng. You can really tell when seng has been cultivated. 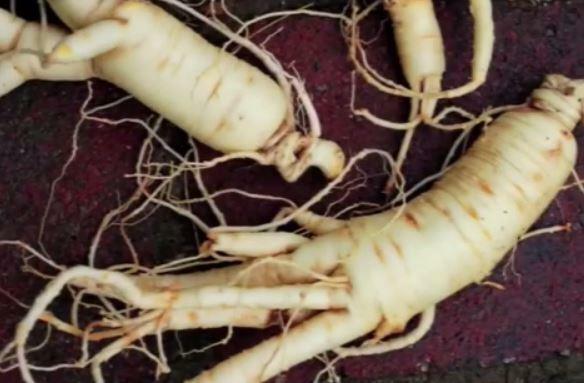 The root is all swollen, fat, smooth, and white compared to wild seng which is scrawny, tortured, and dark. 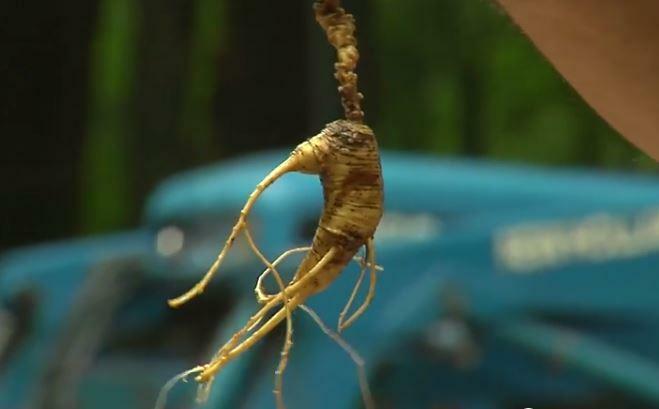 Some mountain-folk have found that planting ginseng seeds in a more natural or wild setting produces a root that will fetch a more competitive price. 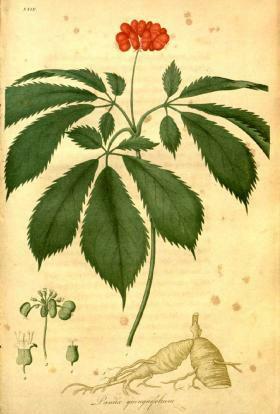 So depending on the growing techniques, this forest-grown ginseng crop could be a game-changer, according to industry experts, academics, and others involved with ginseng. Larry Harding is one example of someone who has made a comfortable career forest-growing. Harding’s father started his ginseng farm fifty years ago, just outside of Friendsville, Maryland. That’s just over the West Virginia border. 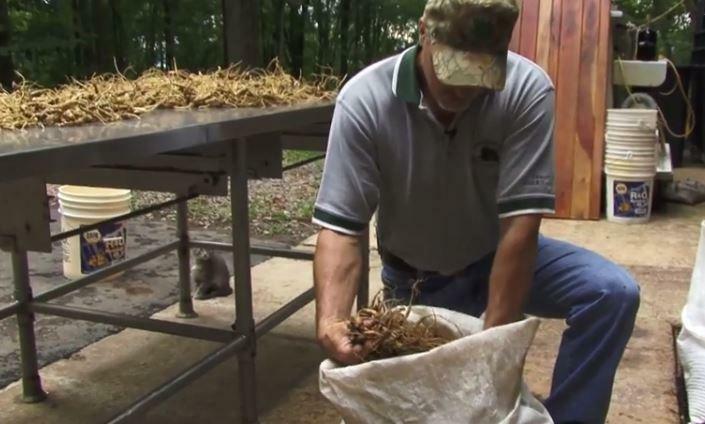 The laws are a little different in Maryland, but Harding says each year he harvests 500 - 2,000 pounds of dry ginseng from over 80 acres of steep, forested land. It’s enough to provide Harding’s main source of income. And the price he can get for his forest-grown root compared to wild root? “The difference in price when you’re talking about root like this? Little to none,” Harding said standing over a pile of roots. Harding markets his product as having “wild characteristics, taste, color, and texture.” He says it’s the quality of this forest-grown sang that fetches funds comparable to that of wild sang. Ginseng Reality TV: Cultivating Conservation or Encouraging Extinction? A new reality TV show that features ginseng hunting premiered this week. Smoky Mountain Gold pits four teams against each other to see who can collect the most wild-ginseng. 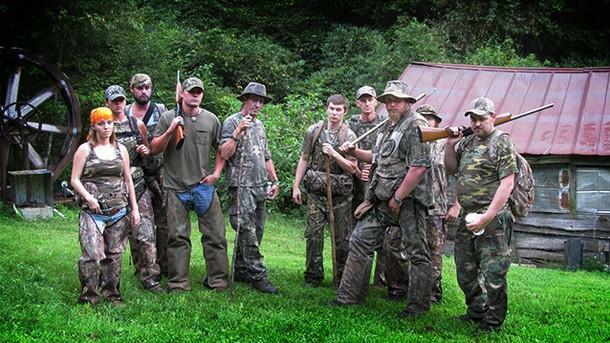 It comes in the wake of another reality show that aired in January this year, Appalachian Outlaws. Dried ginseng root sells for 400-900 dollars a pound, and these reality shows are generating a lot of new interest in the plant. That might be a good thing for the ginseng industry… or it might not be. West Virginia natural resources police say they have made 11 arrests and seized 190 pounds of dry ginseng that was illegally harvested. The West Virginia Department of Natural Resources estimates the market value of the native herb at $180,000. The department said Wednesday the arrests followed a year-long investigation in southern West Virginia. Besides the ginseng, they said they also seized stolen guns, illegal drugs and $30,000 in cash. When you hear the word “ginseng” you might think about a wild plant that grows in the hills of Appalachia … and you would be right, that’s the good stuff. But there’s another way ginseng grows that’s a little less wild. Basically, we’re talking about ginseng farming in the forest, which can yield roots as valuable as the wild stuff. So is it a viable business for West Virginians? Well, there are some rules and regulations that might be hindering growth, but experts say there are ways to promote the industry.